... only its gonna stay put because I keep it ! So here it is; all done and actually already in use on my bed. Just to recap briefly, this quilt is made of the new line 'Echo' by Lotta Jansdotter in combination with Kona Snow and various other Kona solids (see details in this post here). 'Echo' was bought at Seamstar here in the UK and the Kona solids are from Riverfabrics here in the UK and from existing stash I had. 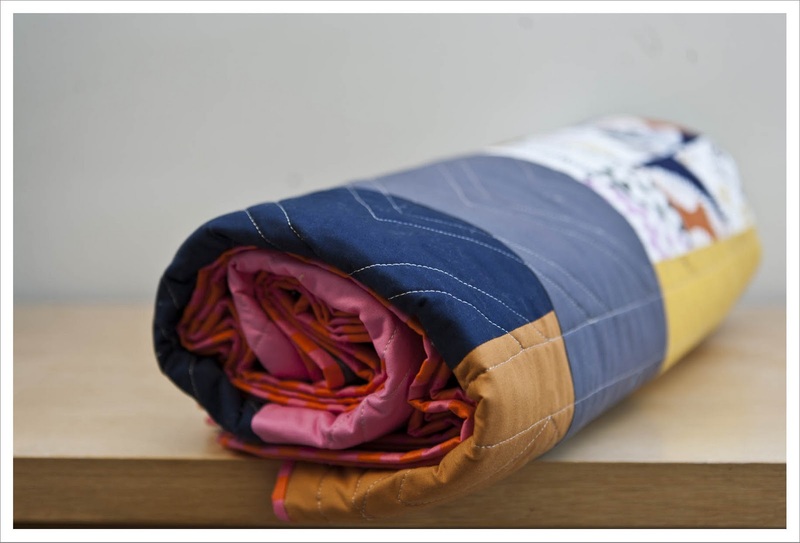 The quilt measures 70 x 76 inches (1.78 x 1.92 m) and the front is made of 136 flying gees units ( 7 x 3.5 inches) from Kona snow and patterned fabric plus a border of units in coordinating solids that are 5 x 2.5 inches). I used two different methods to make the flying geese units and both work well. I made the larger units with my flying geese ruler. 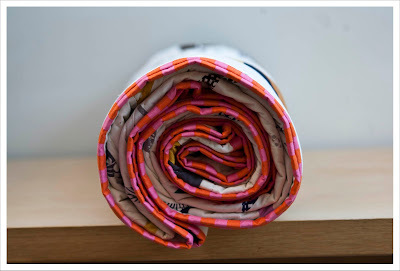 With this method there is no need to cut off dog ears at the corners but it can waste fabric. 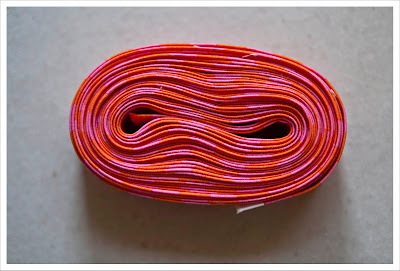 However one can minimize this by doing some calculations before measuring the fabrics strips. For the border units I used the "No Waste method for making flying geese units" by patchpieces. This is an excellent method that wastes absolutely no fabric (as title says....), the unit dimensions are easy to calculate for any size you wish but you end up with dog ears. The reason why I used two methods was just because I wanted to try them and see how they compare. I think I am slightly in favour of the no waste method as I hate having to many fabric offcuts. 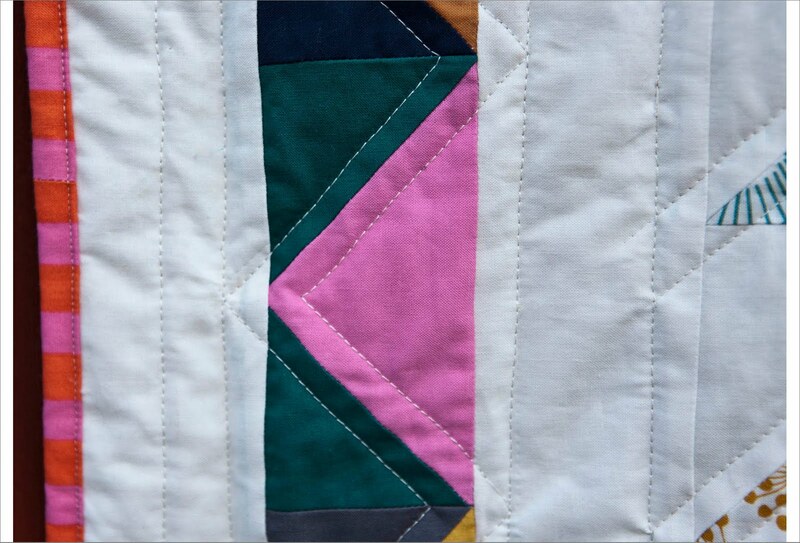 The back is pieced using the same solids that were used for the border on the front plus 'Echo' leftovers and a generous amount of Kona Coal for background. I quilted in zickzack lines below and above the stitch lines to emphasis the flying gees pattern. I used two different Guetermann Sulky colours. On the front my 1071 and on the back my favourite steel grey colour 1328. 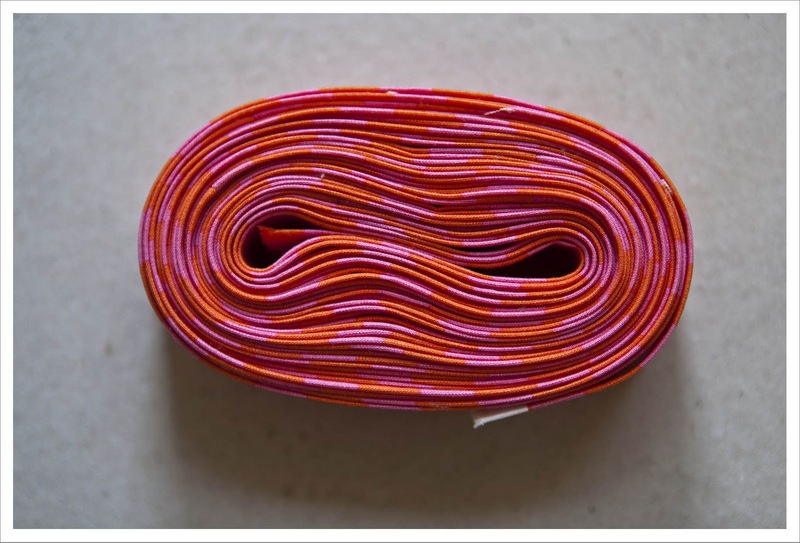 As always I am particularly excited about my choice of binding .It is a stripy number in rich pink and orange from the Taza collection of Dena Design bought at my local quilt shop Tiki. Great quilt! 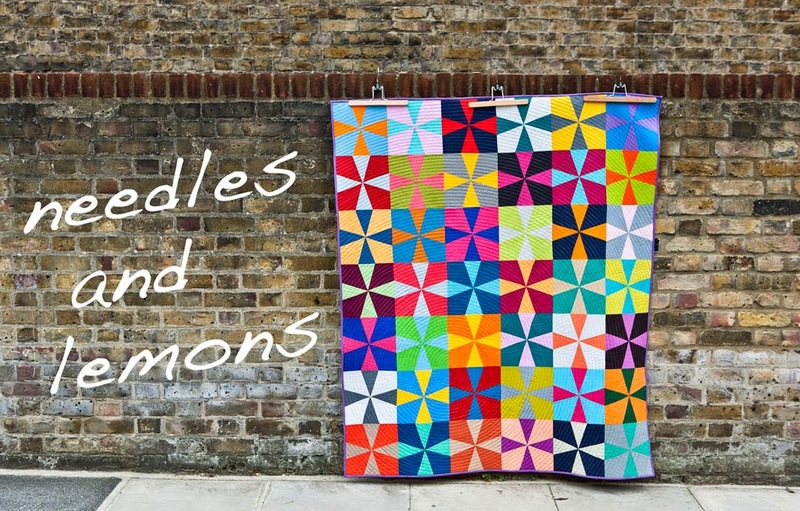 Love the fabric and the solids to go with - thinking next year I may get cutting up my Echo! It's gorgeous! And I love that binding! Great job! I don't usually comment on binding, but it is PERFECT! 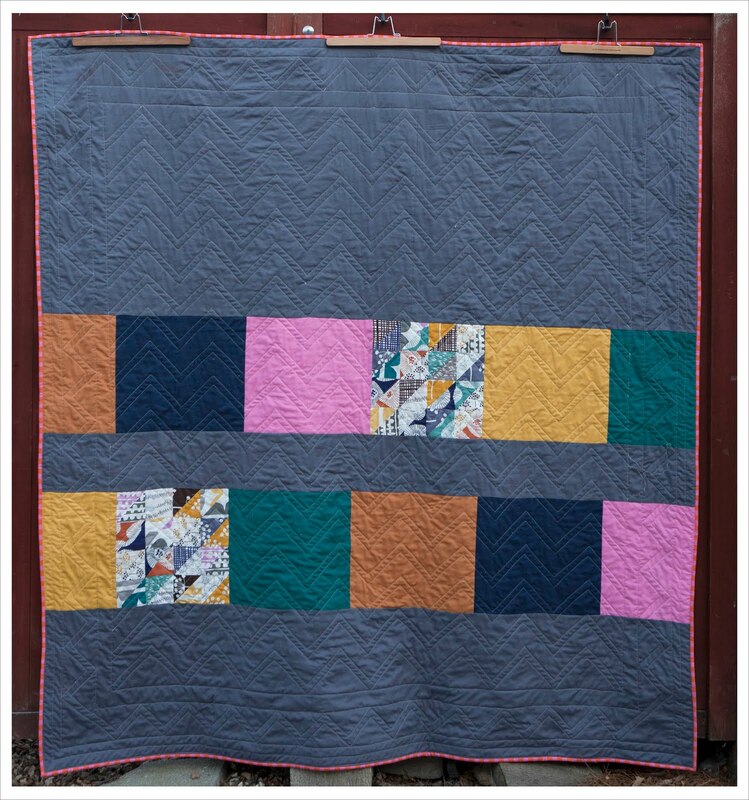 I love everything about this quilt - stunning! When I saw the title I thought you were giving this to someone for Christmas! then I read on!! I couldn't bear to give it away either! 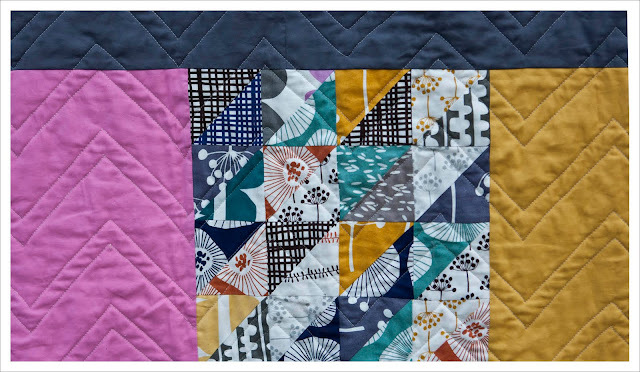 My favourite block and my current favourite fabric line - I love it! 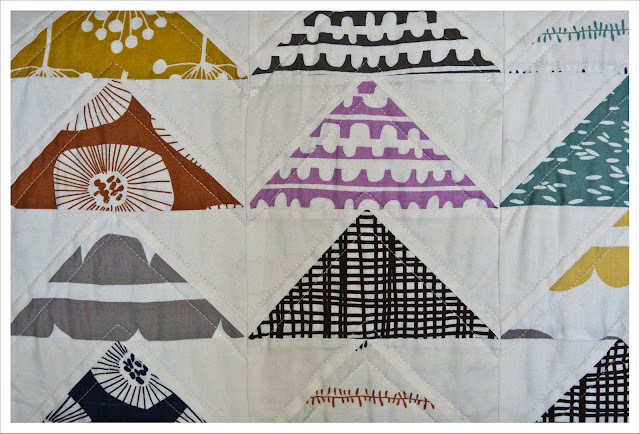 I love everythinig about this quilt, it's beautiful! oooh I like, I like!! Is it cheeky to ask for your off cuts LOL! It reminds me of the view of mountains from an airoplane - especially the pink one with white mountain top - or an old map showing representations of mountains. 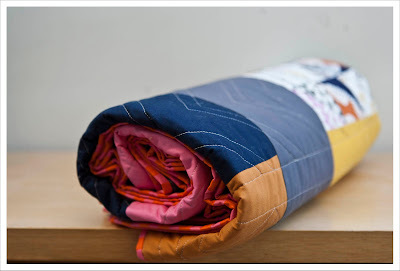 I love this quilt, especially the quilting! I love Lotta so much! 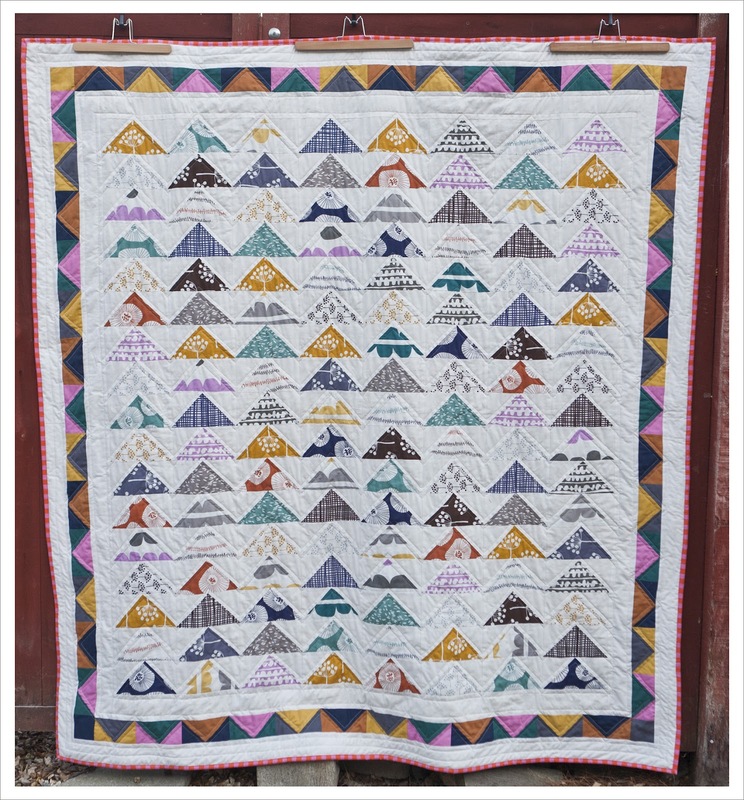 What a fabulous quilt. So glad you get to keep it for yourself! Stopping by from Lily's Quilts...love the quilt! Beautiful work (flying geese are always great). That is just gorgeous. 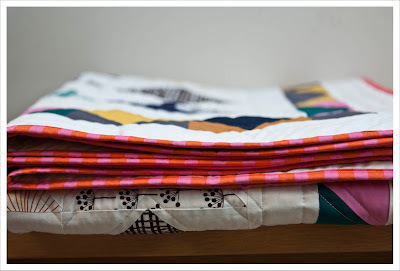 I linked up to my Lotta quilt on Lily's Quilts Fresh Sewing Day too! Just love those fabrics and really love how you've used them..............wonder if I have enough left to do this too..................! !